Last July I wrote about the pyramid shaped cheeses that appear from local farms at the market here in Lyon every summer. This year I want to tell you about the cheese at the heart of the mystery of their intriguing shape. 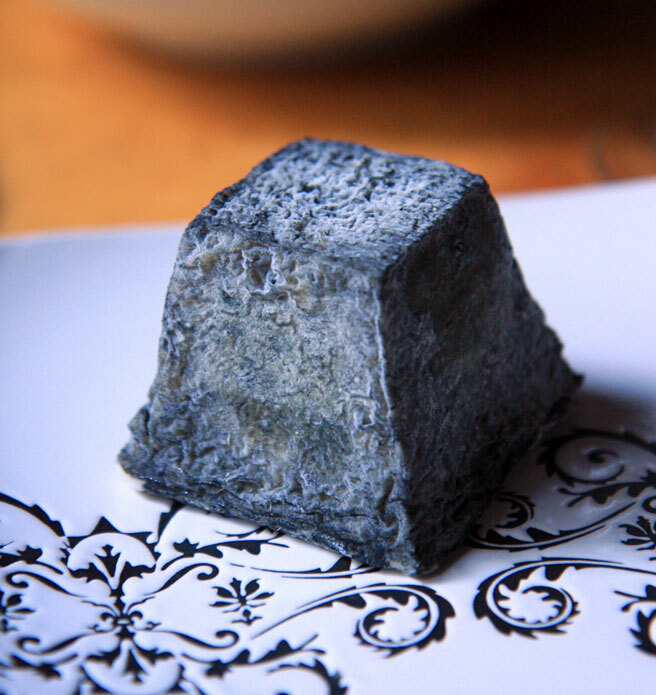 Whatever story you decide to believe, there's one thing you must not pass up, a nice well aged AOC Le Valencay in the month of July. 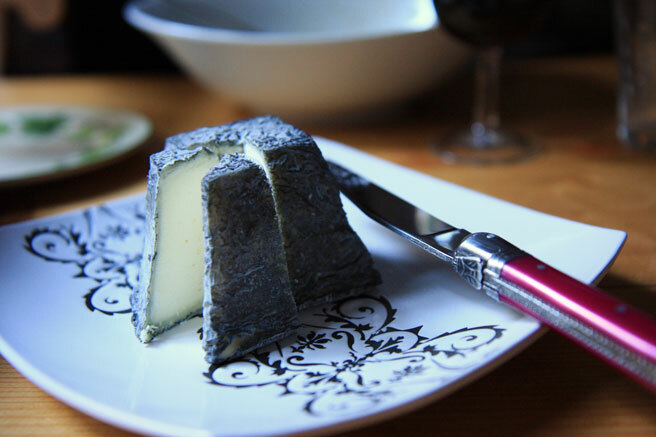 Although the history of this cheese dates back hundreds of years, the AOC was obtained in 1998. Currently there are 21 farms and 6 co-ops producing Le Valencay, and it is distributed widely in France, with a yearly distribution of 342 tons a year. Fresh raw goat's milk is curdled with animal rennet over 24 to 36 hours and then hand ladled into the truncated pyramid shaped molds, strained, and aged for 10 days before it gets a coating of a mix of salt and ashes. When choosing Le Valencay, choose one with lots of nice puckering and a dark color to the crust, which will indicate a cheese with a nice body and well developed flavors. This cheese holds up well under various conditions, so you can get excellent cheese ranging from a very soft young cheese with a light salty flavor to the oldest hardest cheese that splinters when cut. It's ready to eat now, friends. Have a taste and tell me if this isn't the paragon of the chevre experience. I love it. A tart little cheese charading as chocolate. The cheeses are dreadful here. How I wish I could try that.